SCARC completed 10 new or updated finding aids in February 2019. The following is a list and a little information about what we accomplished. You will see a beer theme for this month! These finalized finding aids are available through the Archives West finding aids database, and the OSUL discovery system (a.k.a. “the catalog”). These 39 guides represent ~87 cubic feet of physical materials and 41+ Gbytes of electronic records and include ~2800 photographs. All of these materials are now available to researchers. 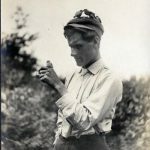 The Herman T. Bohlman Photograph Collection consists of images taken and assembled by Bohlman documenting bird species and his travels, primarily in the Pacific Northwest. 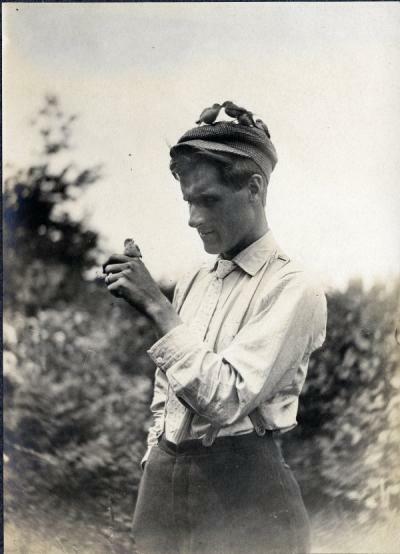 Bohlman was a lifelong friend and collaborator of renowned ornithologist, naturalist, and conservationist William L. Finley. 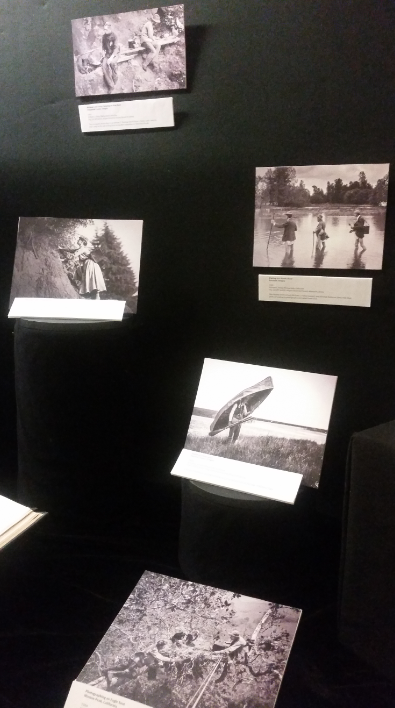 Many of the photographs are available online in the Oregon Digital collection Reuniting Finley and Bohlman. 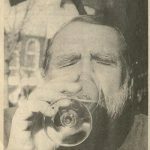 The Robert Daly Beer Publication Collection is comprised of publications collected by Robert Daly about beer brewing, as well as guides to different varieties of beer found in the U.S. and worldwide. 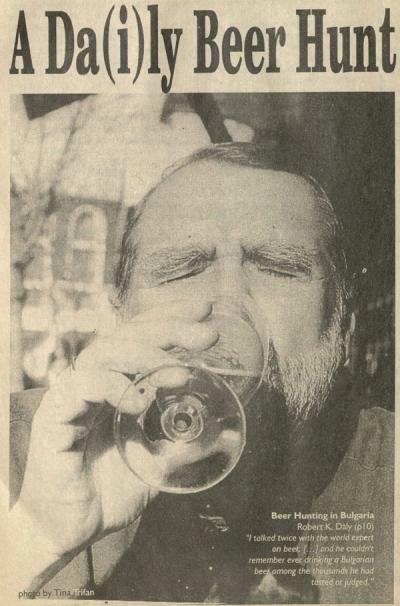 Included among the publications are several issues of the Oregon Brew Crew newsletter, which Daly edited. 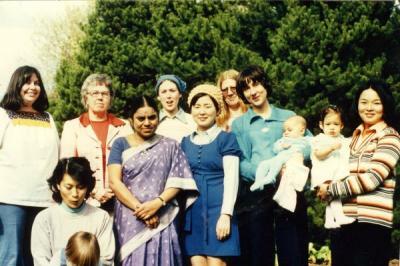 The Friendship Internationale Scrapbook documents the programs and activities offered by this organization for the wives of male international students and staff as well as single international female students and staff at Oregon State University. 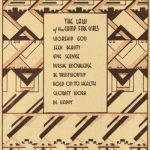 The organization was founded in 1964 as the Chatter Club and was active until 1979, when it merged with another organization to form Crossroads International. 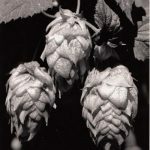 The Hop Research Council Records document its support of hops research projects. Much of the collection pertains to the development of new hop varieties and the management of hop diseases such as powdery mildew. 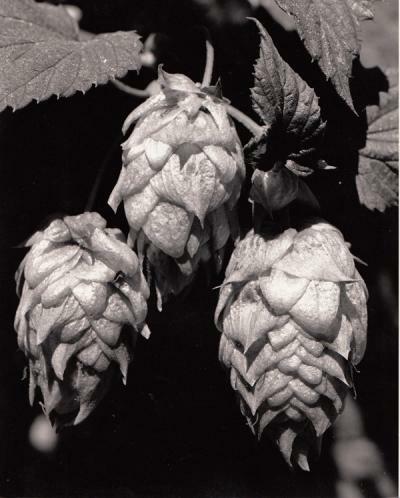 The Hop Research Council was formed in 1979 to fund hop research by soliciting and providing funds for scientific investigation and research related to the agricultural production of quality hops in the United States. 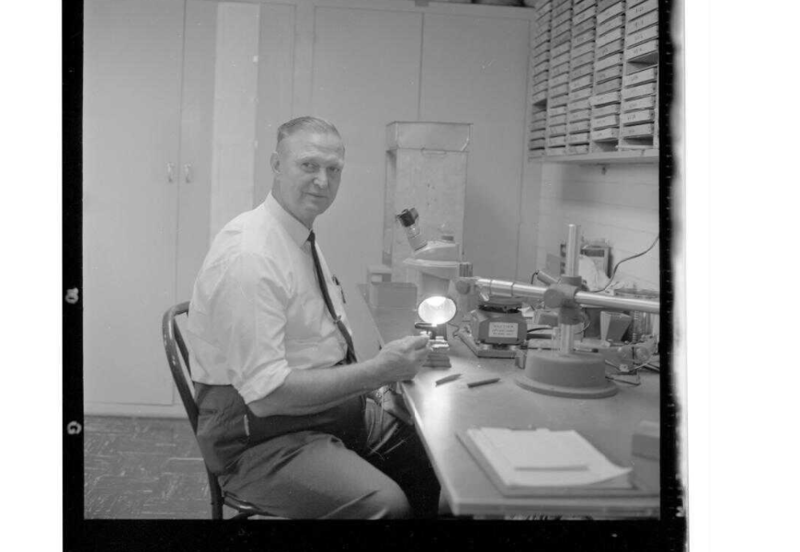 The Kenneth C. Minnick Papers document Minnick’s career as the Benton County 4-H Extension Agent from 1947 to 1974 and his establishment of the roadside clean-up program in Benton County in the late 1960s. Minnick earned B.S. (1939) and M.Ag. 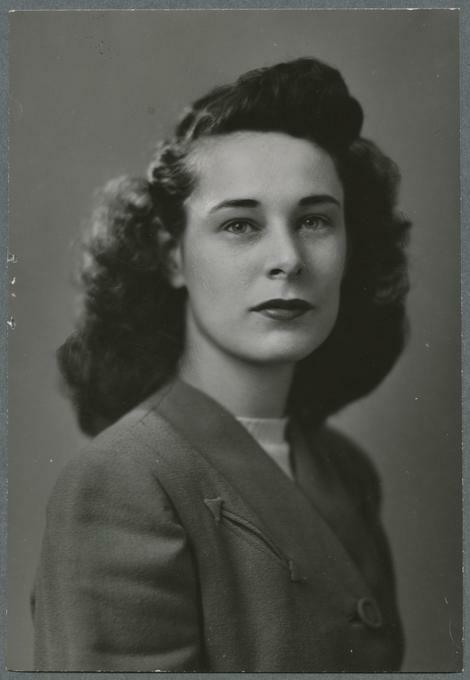 (1954) degrees from Oregon State College. 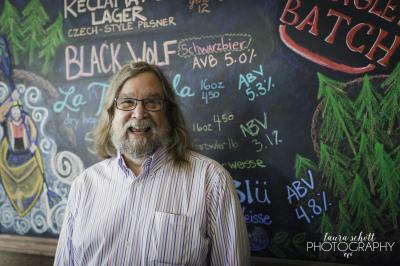 Denny Conn is a homebrewer, author, educator, and advisor in the Oregon brewing community. 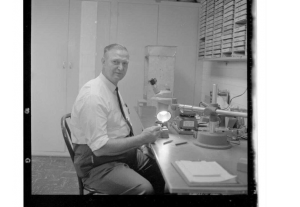 The Denny Conn Papers is an all electronic collection and consists of born-digital materials (.mp3, video, documents) and items digitized by Conn. 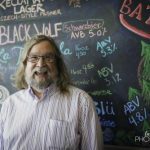 These materials document Conn’s work, including documentation related to Conn’s two books Experimental Homebrewing: Mad Science in the Pursuit of Great Beer (2014) and Homebrew All-Stars: Top Homebrewers Share Their Best Techniques and Recipes (2016). Bonnie B. 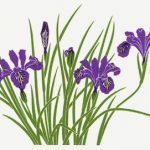 Hall Botanical Prints consist of serigraphic screen prints created by Bonnie Hall, a scientific illustrator and artist. 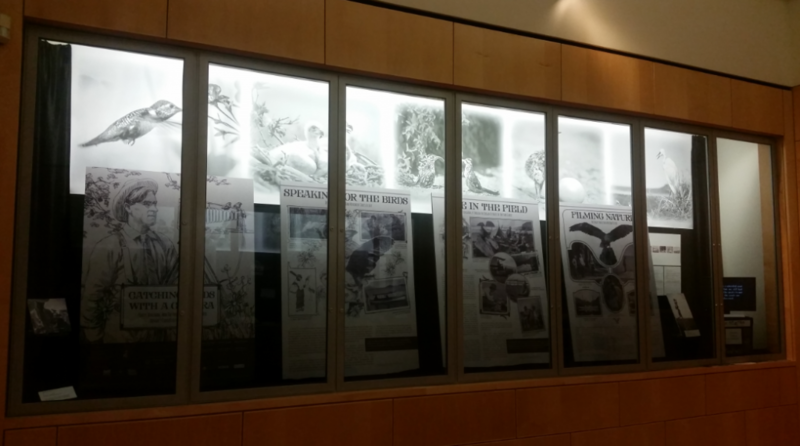 Hall was well known, particularly for her botanical prints and was a scientific illustrator for the Department of Entomology at Oregon State University from 1963 -1993. The Zoller Hop Company Records consists of records and materials created and assembled throughout the first half of the 20th century. 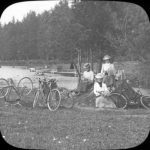 The collection contains records of business operations: correspondence and management files, photographs of fields and community events, and digitized versions of two films. 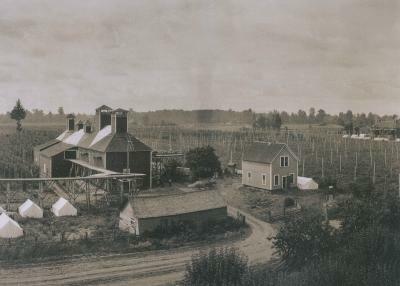 The Zoller Hop Company was located in Independence, Oregon, the “Hop Capital of the World’ during the first half of the 20th century. The company was later owned by Donal MacCarthy and the name was changed to “D.P. 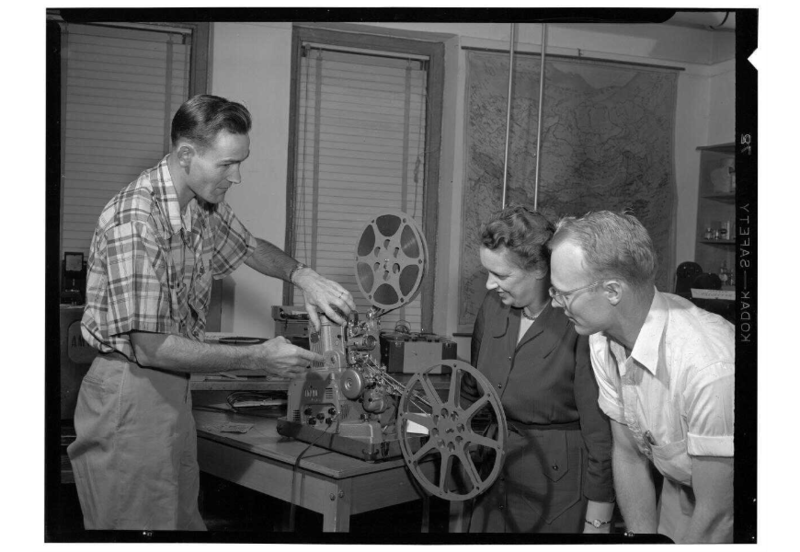 MacCarthy & Son.” The two films have been digitized and are available online: “Spring hop field operations and fall harvest,” 1931 and “Harvesting and processing,” 1945. 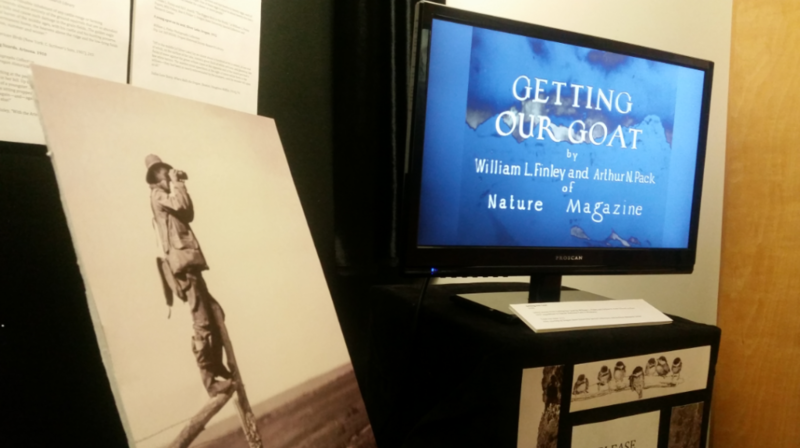 The William L. Finley Papers document the wildlife conservation work of Finley and his wife Irene, and the photography work of Herman T. Bohlman, who worked with Finley in the first decade of the 20th century. 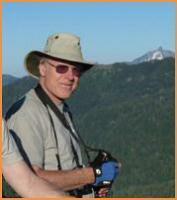 Finley was a photographer, filmmaker, and author who wrote and lectured extensively on wildlife conservation issues. 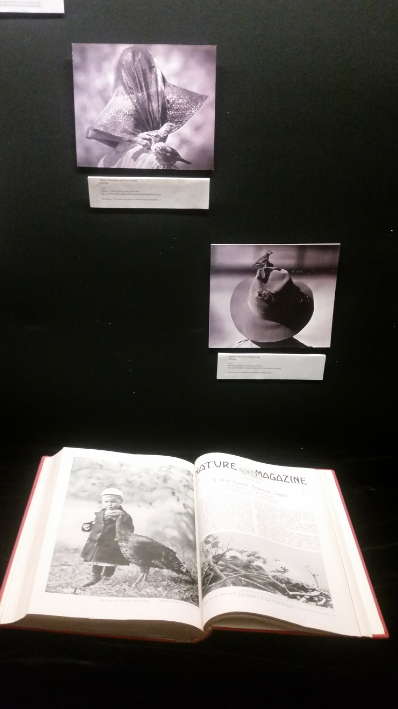 The collection includes published and unpublished manuscripts, lecture and field notes, reports, correspondence, photographs, and motion picture films. 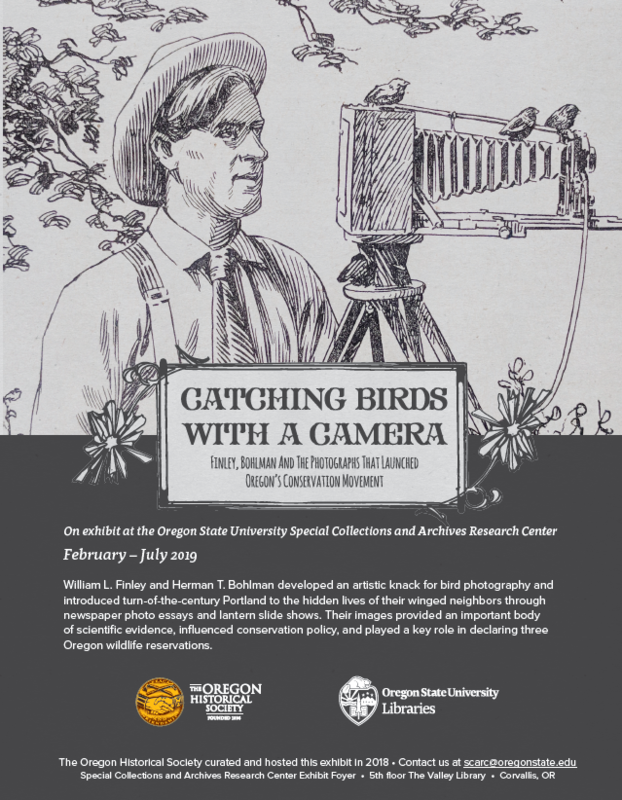 Manuscript items and photographs from this collection have been digitized and are available in Oregon Digital. All of the films held in the collection are also available online. 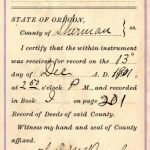 The Thomas B. Searcy Collection documents the land in Sherman County, Oregon, homesteaded by Thomas B. Searcy in 1889; Searcy’s financial interactions with the Moro Grain Growers Association and the Pacific Co-operative Wool Growers Association; and the Searcy family. This entry was posted in Main Page on March 4, 2019 by dvoraka. 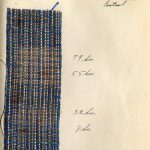 This blog post, part two of two, highlights the recent work done by Rachel Lilley, Public Services Assistant in processing the Oregon Flax Fiber Collection and Oregon Custom Weavers Guild Linen Research Notebook, both of which are housed in the Special Collections and Archives Research Center. 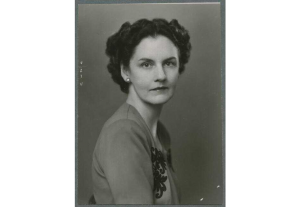 Patterson’s hand woven patterns and techniques nearly landed her a multi-million dollar deal with Chevy automobiles. Unfortunately, while Patterson was featured in multiple magazines and newspapers for her fine linen patterns, the deal eventually fell through, due in part to the financial youth of the Chevy company at the time. 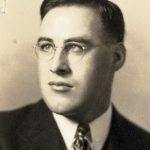 Another important contributor to the research of flax processing and production was Jesse Harmond, who came to OSC from the US Department of Agriculture. While at OSC, Harmond was involved with the design and manufacturing of new mechanical machines for processing flax fibers. 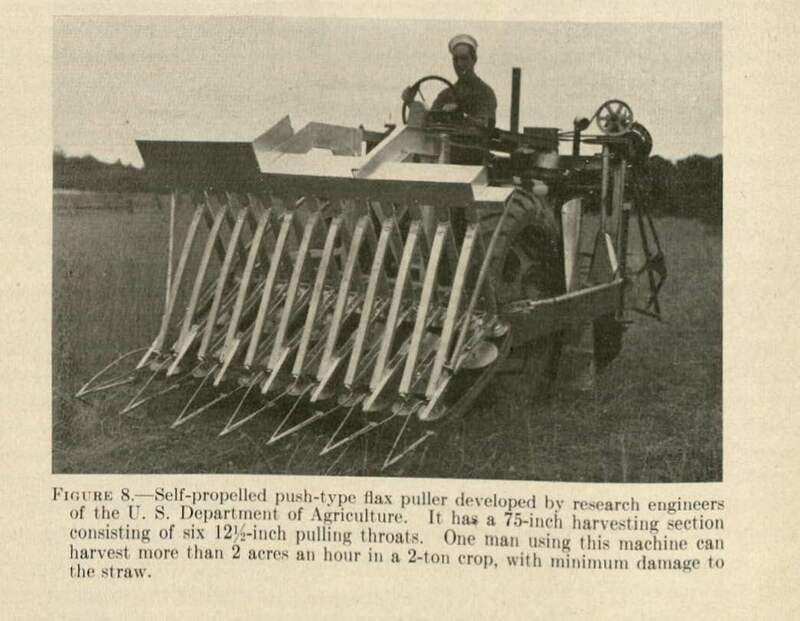 Harmond released several publications on these machines, some of which mechanically deseeded flax, aided in harvesting flax, or dried extracted flax fibers. In one of these publications, Harmond acknowledges that the future of the flax industry hinged on the mechanization of flax processing. Additionally, Jesse Harmond was the force behind the creation of a linen-wool fabric he called ‘Marilinn’, named after Marion County, where the linen originated, and Linn County, where the wool originated. The Marilinn fabric was yet another attempt to expand the commercial market for Oregon flax and linens. The combination of 80% wool and 20% flax made a fabric which was soft yet strong, and had better colorfastness, or the ability to retain dye colors, which linen alone did not. Harmond and Patterson formed Oregon Custom Weavers, a company that specialized in the production of fine linens made from Oregon flax. Their hopes were to expand their business to a national market. 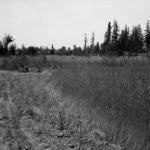 Unfortunately for Jesse Harmond and Joan Patterson, their research was concurrent with the beginning of the end for commercial flax growing in Oregon. 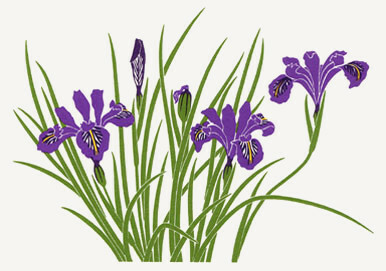 The flax industry in Oregon reached its’ peak during World War II, when flax and linen were deemed essential war products. 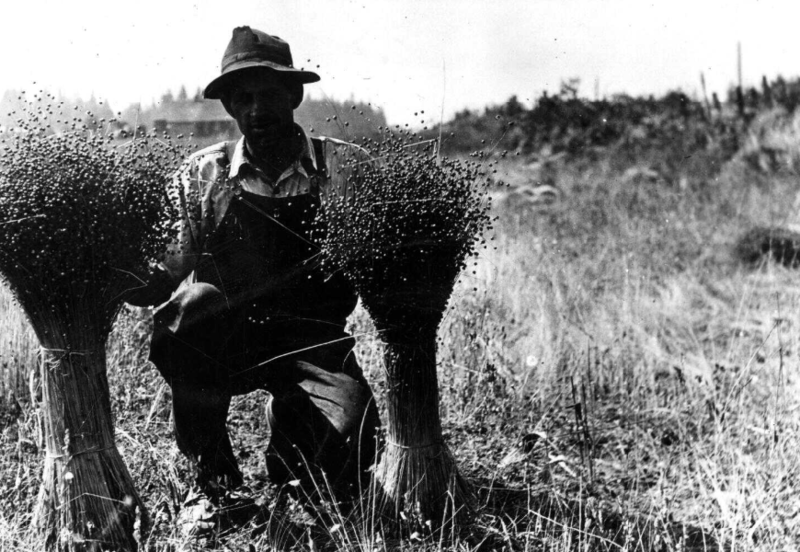 Oregon was once home to 14 different flax processing plants, and over 18,000 acres of flax crops. 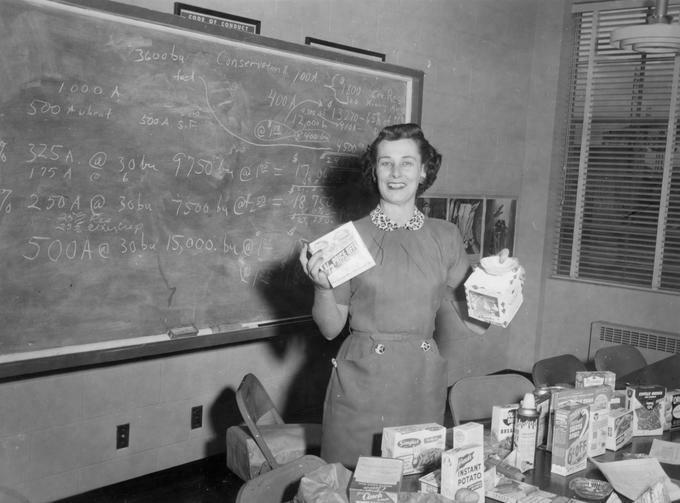 However, the removal of farm subsidies in the post-war years, as well as the introduction and expansion of new synthetic fibers like polyester and rayon in the early 20th century, were devastating blows to the once booming industry. 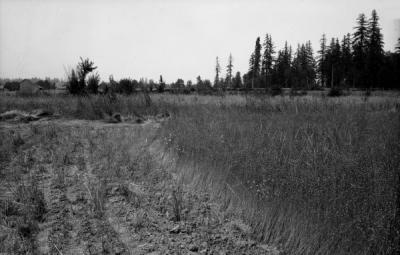 The labor-intensive nature of flax production and processing prevented the industry from becoming an essential portion of modern Oregon agriculture, despite the efforts made to revive it at Oregon State University through Joan Patterson, Jesse Harmond, and many others. 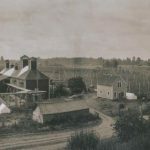 While Patterson and Harmond’s reports and research were promising – and Patterson’s linen products extremely well-received, the languishing flax industry proved to be too great of a hurdle to cross. Flax production was unable to match the demand for linens and yarns that Patterson’s designs created. 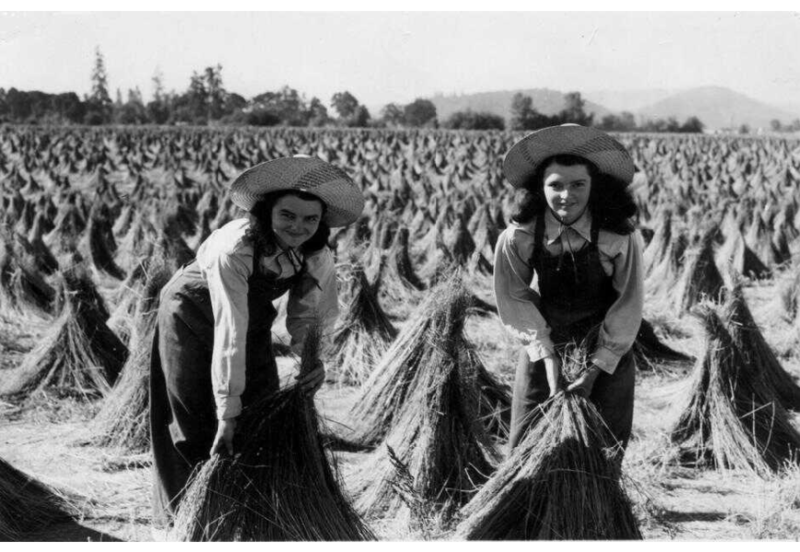 Today, Oregon flax maintains an important part of Oregon’s history and the history of Oregon State University. Independent farmers in Oregon still produce flax, both for its use as a textile and for its benefits as a healthy food product for livestock and humans. The Oregon Fiber Flax Collection in the Special Collections and Archives Research Center houses a rare array of flax yarns and products, a humble glimpse at what once was a signature product in Oregon agriculture and craft. Tobin, LA. A history and analysis of the Oregon linen industry. Oregon State University, 1960. This entry was posted in Main Page on February 25, 2019 by dvoraka. 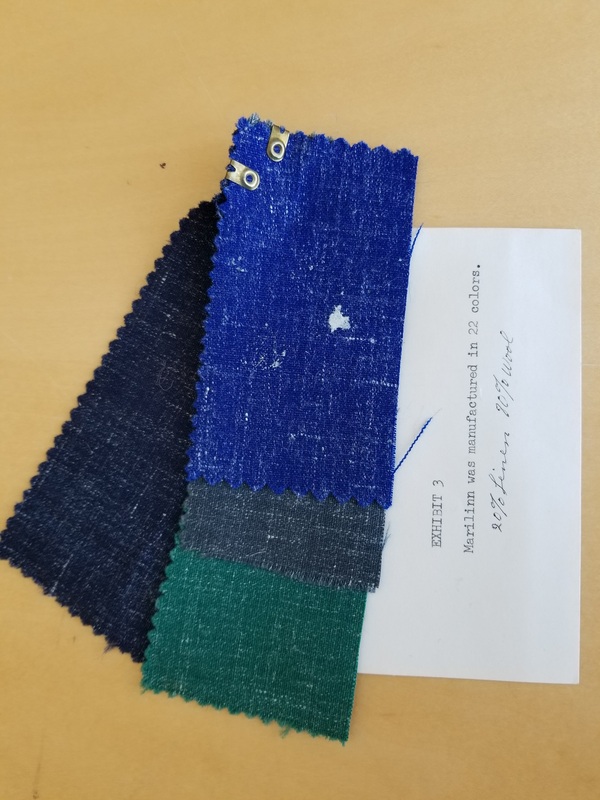 This blog post, part one of two, highlights the Oregon Flax Fiber Collection and the Oregon Custom Weavers Guild Linen Research Notebook at the Special Collections and Archives Research Center, which were recently processed by Public Services Assistant Rachel Lilley. Stay tuned next week for the full story of flax fiber in Oregon. The flax fiber is durable, soft, and breathable – great for a multitude of textile applications, including paint canvas, sails, and clothing. These are all made from linen, which is the general term for any fabric that is made from woven flax. Flax is one of the oldest known plants specifically cultivated for use as a textile – modern technology and analytical methods show us that linen was used to wrap mummies in Egyptian tombs as early as 3000 BCE. The fiber itself is extracted from the bast, or the woody stem of the flax plant. 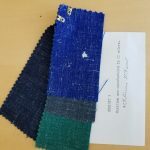 It is primarily composed of the polysaccharide cellulose, which allows the fiber to be hydrophilic, or water-absorptive, which aids the breathability of flax as linen. The rigid structure, which comes from the cement-like lignin and crystalline molecular form, gives flax fiber excellent strength – it can be 2-3 times stronger than other cellulosic fibers, such as cotton. The recyclability of the natural fiber and the ability to use the entire plant during processing made flax an extremely economical fiber in early agriculture. In The United States, flax production flourished for decades in the North, in states like Minnesota and Wisconsin. But with the advent of the cotton gin, which made cotton farming vastly more profitable and efficient, the flax industry saw a sharp decline in those areas. But while flax production fell in most areas of the country, it flourished in the state of Oregon, where the well-drained Willamette Valley soil and temperate climate were perfect for growing high quality flax. Oregon flax, which was noted by explorers Merriweather Lewis and William Clark during their 1804 expedition to be superior to flax grown in other parts of the United States, quickly became renowned for its finer texture, longer fiber strands, and lustrous finish. 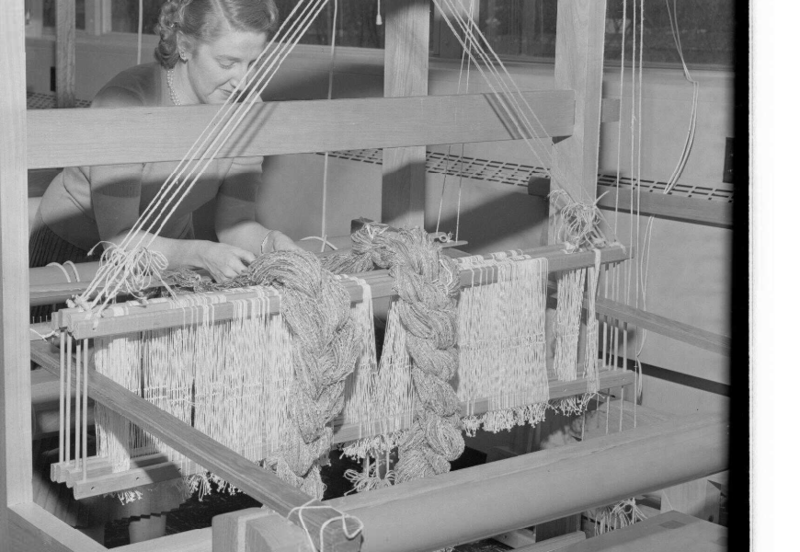 Samples of Oregon flax and its products (linen upholstery, linseed, and yarns) were recognized repeatedly by World Fairs and various expositions. In 1876, a farmer in Marion County was awarded a bronze medal and a certificate of merit for his flax exhibition in the Philadelphia Centennial Exposition. This brought immense attention to Oregon flax, but the industry still faced international competition. Countries like Russia and Belgium were normally the top competitors for flax distribution, but during the chaos of both World Wars, the international flax market was halted. Oregon flax was able to take the spotlight. This entry was posted in Main Page on February 18, 2019 by dvoraka. SCARC completed 7 new or updated finding aids in January 2019. The following is a list and a little information about what we accomplished. These finalized finding aids are available through the Archives West finding aids database, our Archon finding aids interface, and the OSUL discovery system (a.k.a. “the catalog”). This collection is comprised of interviews with U.S. Forest Service employees, Oregon State University faculty, and other individuals involved with the creation, development, and use of the H.J> Andrews Experimental Forest, which is located in the west-central Oregon Cascades. 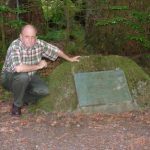 The interviews were conducted by historian Max Geier in conjunction with the 50th anniversary of the forest’s designation and were used in the writing of Geier’s book, Necessary Work: Discovering Old Forests, New Outlooks, and Community on the H.J. 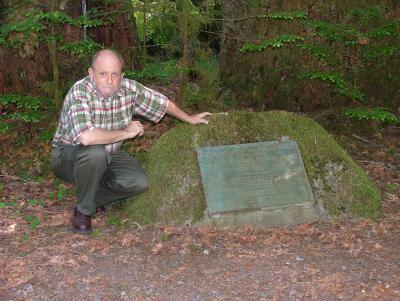 Andrews Experimental Forest, 1948-2000. 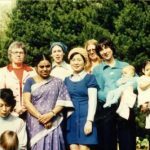 All of the collection’s microcassettes have been migrated to digital format and the raw audio of most of these recorded interviews is available online. 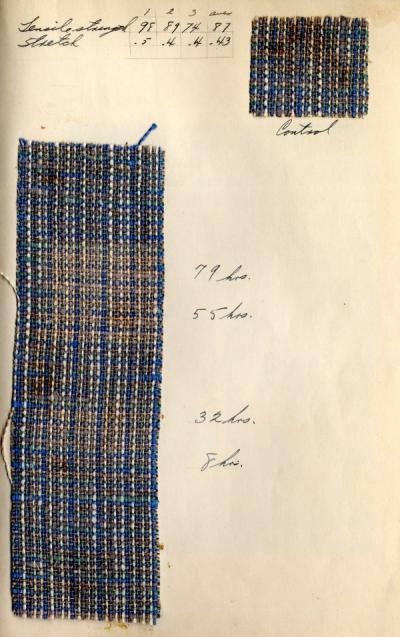 This notebook documents textile research done by Oregon Custom Weavers Guild founds, Jesse E. Harmond and Joan Patterson. The collection is comprised of a notebook containing samples of Oregon linen subjected to various strength, fading, and shrinkage tests; and tow linen color samples of different linear densities. Collected by Nancy Arthur Hoskins, a weaving instructor and author on textiles, in the course of her own research on flax, this collection documents the processing, marketing and use of Oregon-grown fiber flax and the work of Joan Patterson, Professor of Clothing , Textiles, and Related Arts and Jesse E. Harmond, USDA agricultural engineer and head of Small Seed Harvesting and Processing Investigations at Oregon State College. 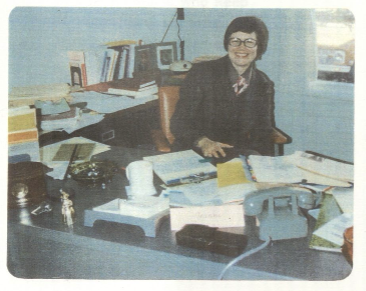 The collection is comprised of correspondence, publications, reports, photographs, notes, news clippings, and artifacts. 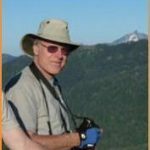 These records include images, word processing files, PowerPoint presentations, and other electronic formats that chronicle Williams’s research interests and scholarly productivity during his years working as a historian and sociologists for the U.S. Forest Service. 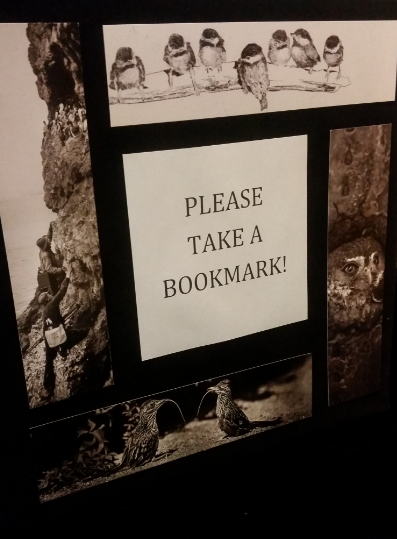 The entire collection is born-digital and is available upon patron request or for use in the SCARC reading room. Included are materials documenting the history of the Forest Service as well as various national forests across the United States. 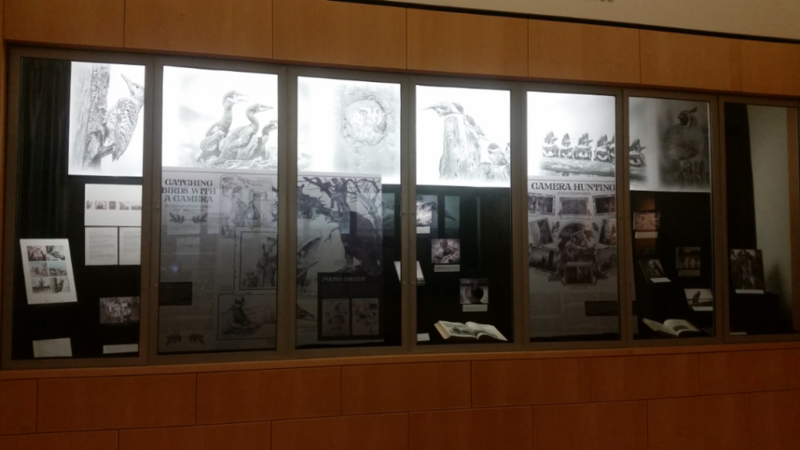 The collection likewise reflects Williams’s involvement in historical outreach activities and events, his interest in forest fire policy, and his study of editorial cartoons as historical sources. 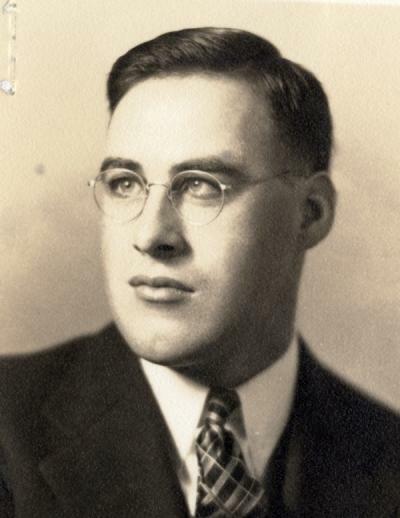 Biographical date and professional documents detailing Williams’s work over time are included as well. 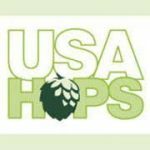 The Hop Growers of America Records document the functioning of the organization, which was established in 1956 to create a healthier and more efficient United States hops industry. The bulk of the collection consists of meeting minutes and reports, including crop statistics. 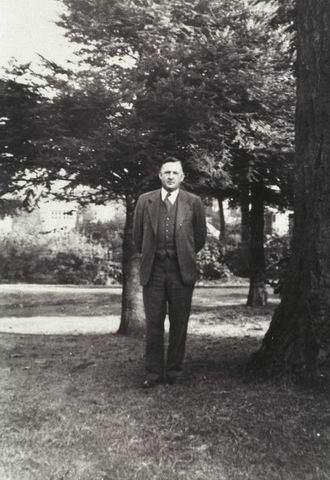 The Ripple Papers consist of materials collected and generated by William J. Ripple, Professor of Forest Ecosystems and Society. 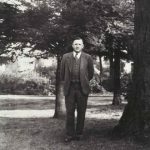 The collection consists primarily of reference materials on landscape ecology and trophic cascades as well as over 100 of Ripple’s publications. 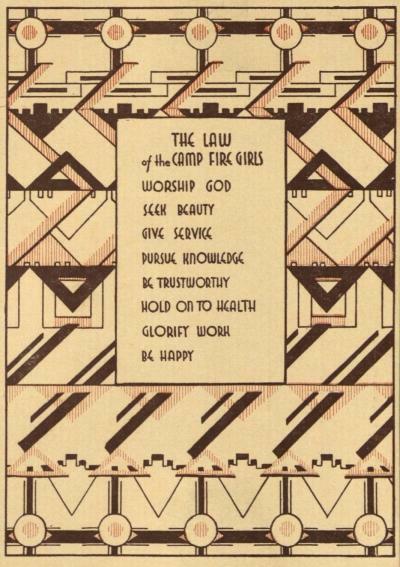 This collection documents the activities, membership, and organizational structure of a Blue Birds and Camp Fire Girls troop headquartered in Burbank California. 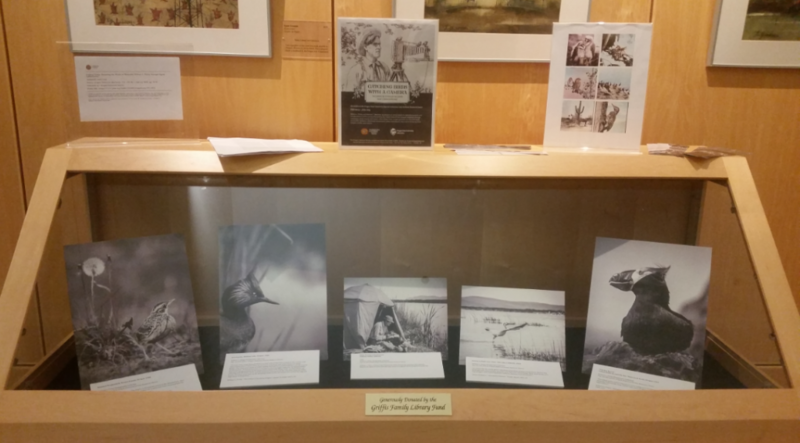 The bulk of the collection is comprised of two scrapbooks assembled by Noreen Watts and Harriett Watts, her mother and “guardian” of her daughter’s troop. 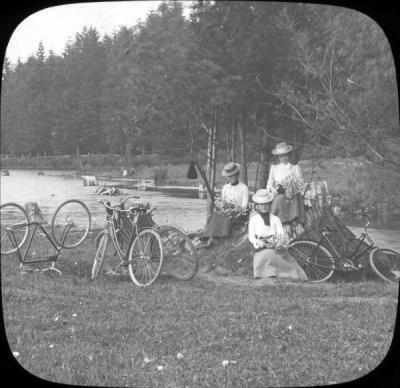 Financial records for a Camp Fire Girls troop in Portland, Oregon in 1917-1919 are also part of the collection. This entry was posted in Main Page on February 4, 2019 by dvoraka.